Victor, age 14, currently has a Weekend Miracles host family but is still looking for an adoptive family. Watch Victor’s feature on Wednesday’s Child. 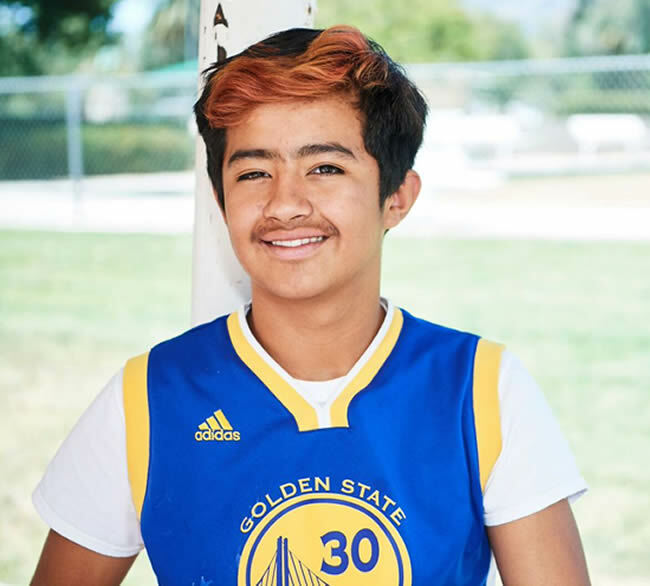 Victor, age 14, is a kid who enjoys playing basketball, swimming, riding roller-coasters and going to the movies with his friends. He has a wide taste in music, stating that some of his favorite artists are Drake and Michael Jackson, and his favorite songs are oldies such as “Stand By Me” and “My Girl”. Victor is very talented. He enjoys acting and has been in multiple plays. Due to his athletic and artistic abilities, it’s no surprise that Victor’s favorite subjects in school are Physical Education and English. In his social life, Victor is renowned for being kind and making everyone laugh. Victor cares deeply about those who are close to him, especially his friends. He says that while his friends would describe him as funny, they would say that most of all he is very brave and loyal. Because of Victor’s loyalty to those he is close with, he has said that moving around to different homes has been particularly difficult, as he must leave behind many great friends. He often confides in his friends that he is in foster care, and it warms him to know that they are highly supportive of him. As such, Victor deeply desires to have a home and a family that can provide consistency in his life. He describes liking Kidsave events because they are an opportunity to meet other people who are kind and who he could easily get along with. Victor says he doesn’t care what anyone looks like. Can you be the family that Victor needs in his life? Help Victor find a family, share his Advocacy Flyer.